There's a strange feeling I've occasionally developed over my many months of travel, that I can't quite find a word for. The closest thing I can imagine would be homesickness, except that there is absolutely no desire on my part to end my travels and return to the US. But there is some longing there for a sense of home. Friends. A routine. A room to myself. A kitchen. A gym. Little things that you just don't often have when you're constantly on the move. 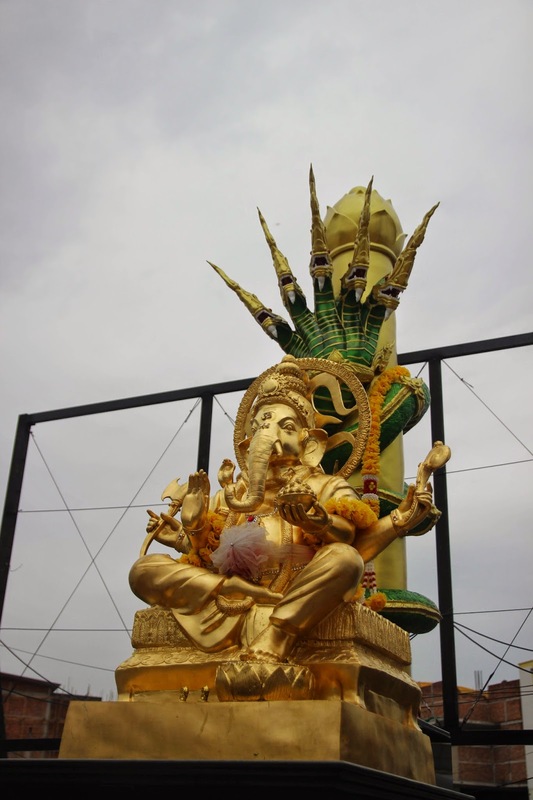 After so many weeks moving swiftly through Myanmar and another week of volunteering at Elephant Nature Park, I was very ready to take a bit of a break from being a tourist and just…. live…. for a while. I did thankfully have people with me when we first returned to Chiang Mai that I had gotten to know from my week volunteering, who kept me distracted with a few activities - explorations of the Sunday Walking Street (until we were caught in a major downpour and spent the remainder of the time holed up in a tiny bar until curfew), a visit to the Night Bazaar, and some dinners and evenings out. But during the days, instead of visiting temples, I had brunch. I wrote. I visited the local CrossFit gym. Simple, normal activities, that are somehow unusual for a traveler. 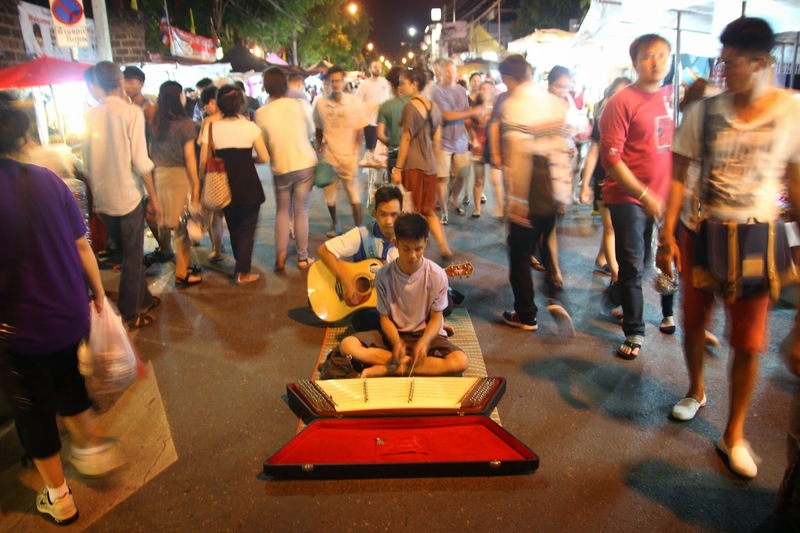 Kids play music for tips in the middle of the crowded Sunday Walking Street Market. 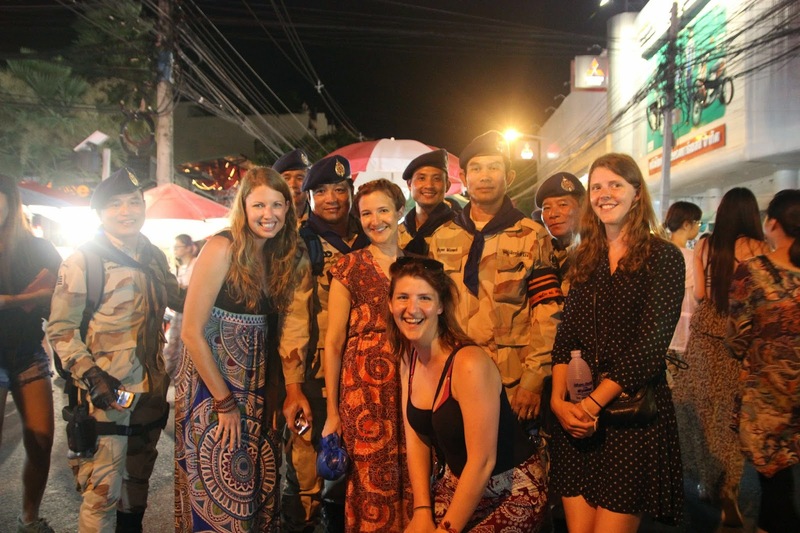 Posing with military police, who were out en masse thanks to the recent military coup. 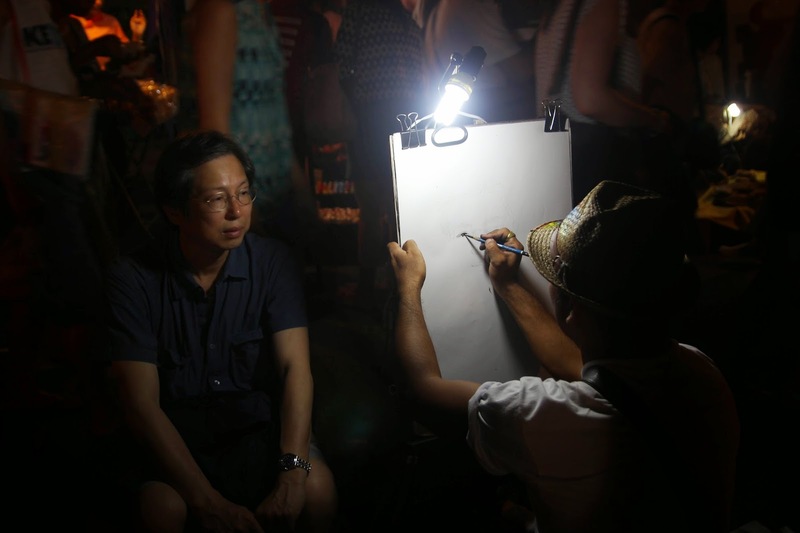 A man gets his portrait drawn at the Sunday Walking Street. 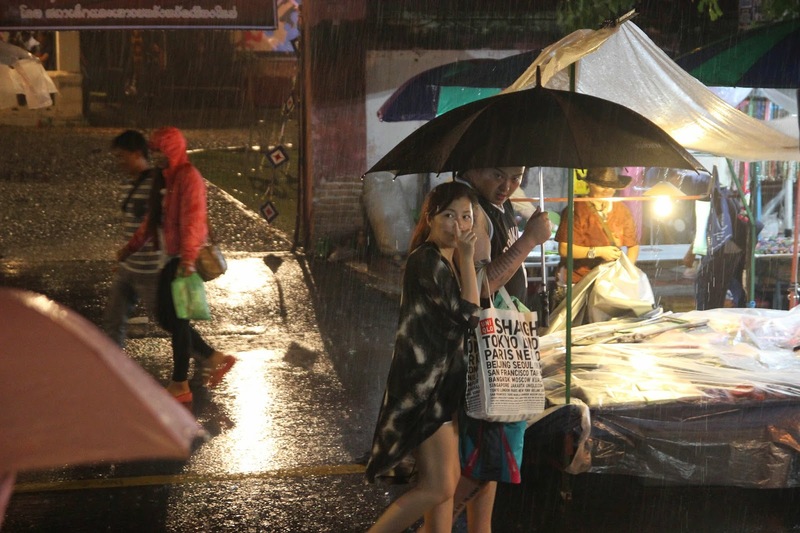 A couple continues shopping through the deluge at the Sunday Walking Street Market. Taking refuge from the rain at Barli, where the owner cleared a little bench for us in the back. 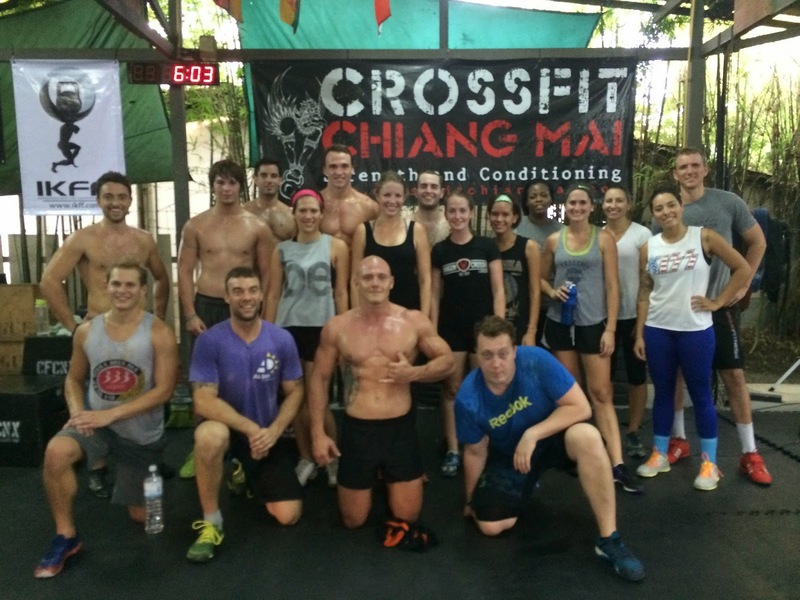 The welcoming crew at CrossFit Chiang Mai. 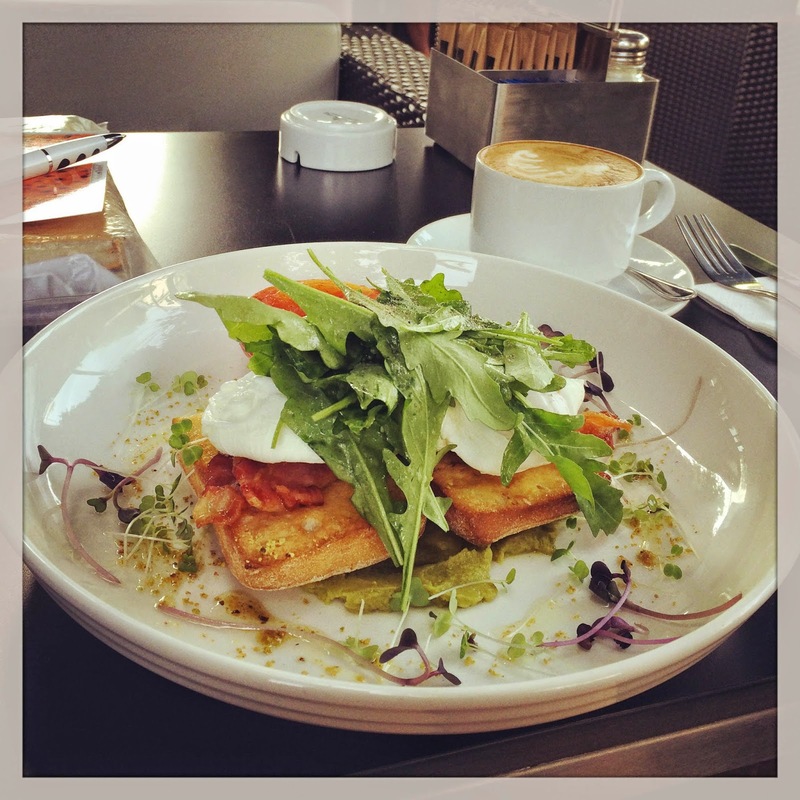 "Brunch food" - poached eggs, bacon, toast, over an avocado spread, topped with arugula - at Coffee Club just inside the East Gate. 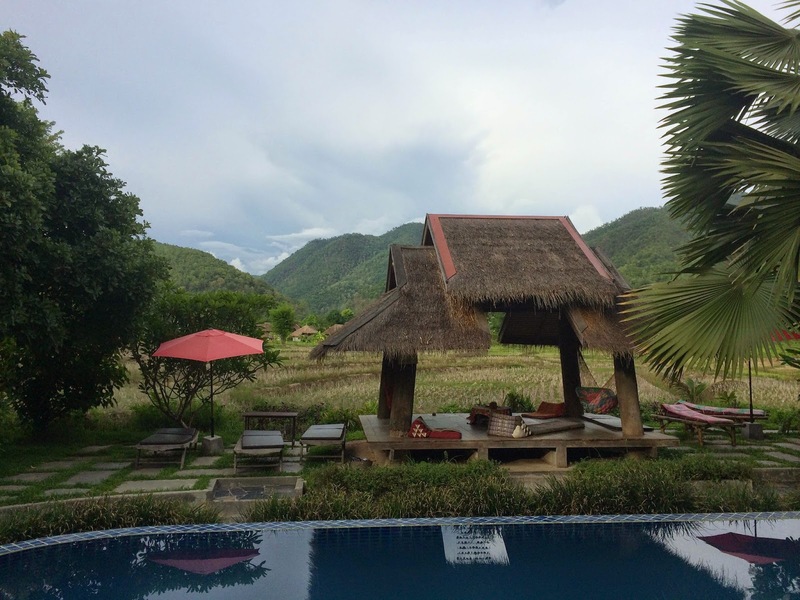 I did decide to get away for a long weekend in Pai, having heard such wonderful things about what a great place to relax it was, but I mostly stuck to myself, primarily eating delicious food. I did get out for one full day of explorations - teaming up with a Kiwi guy named Mark who was traveling through Asia on his massive dirtbike. I had a few places I wanted to visit and no motorbike, he had no plan but had the bike, so I hopped aboard with a map and a rough plan. 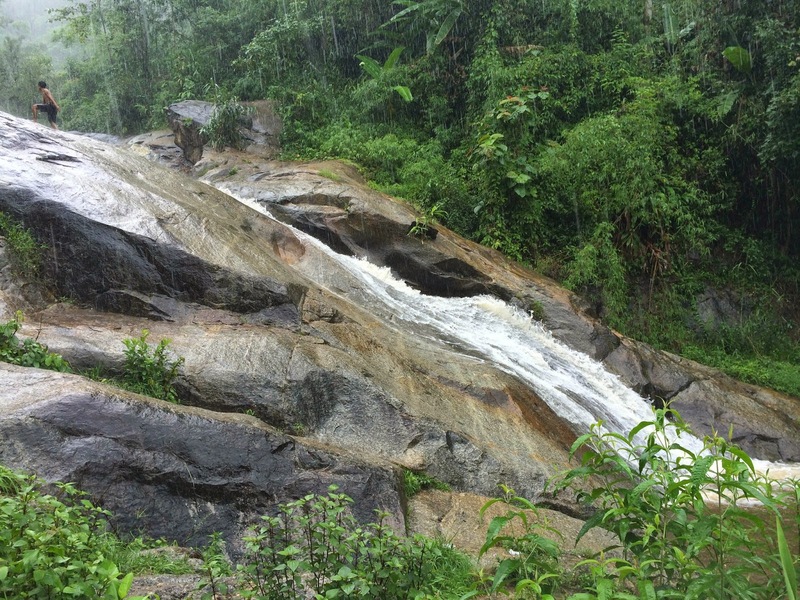 We went to pay one of the major waterfalls a visit, getting caught in a massive downpour just as we arrived that made me very thankful that I had not picked that day to learn to ride a motorbike myself. 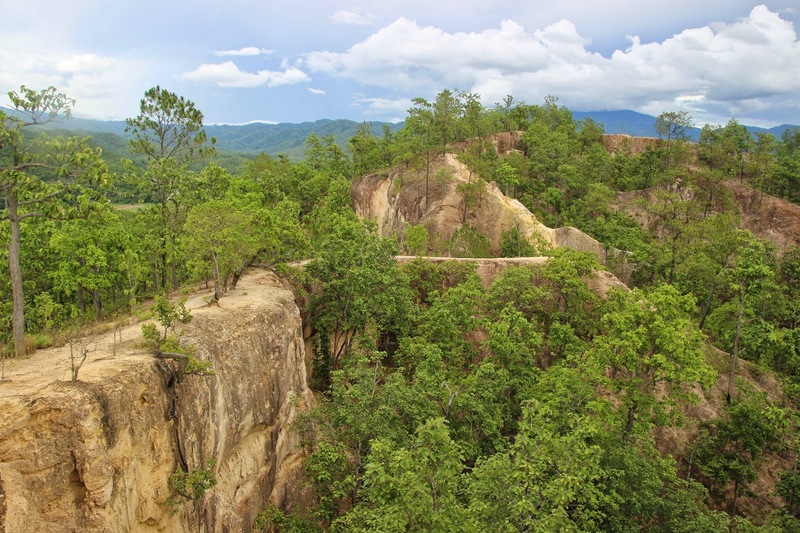 It cleared up for most of the rest of the day, as we made stops at a lookout point, a local "canyon", a cafe called "Coffee in Love" made famous by the Thai movie "Pai in Love", and the local hot springs. I also dragged him out to a restaurant my friend Matt (who had lived in Pai for a number of months) had insisted I try out, which proved to be a very tasty splurge on some good Western-influenced dishes, and I recruited some friends from ENP to meet me at Jikko's Bar, which Matt had also recommended - Jikko himself enveloping me in a massive bear hug when I mentioned that Matt had sent me. 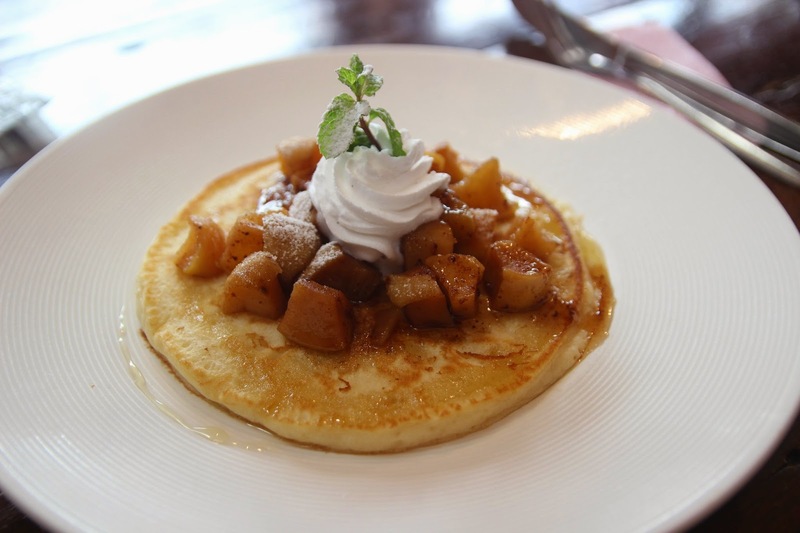 A pancake topped with cinnamon apples at Witching Well. The view at Pai Chan - a lovely place to stay with tiny, but clean bungalows, just outside of the center of town. A lookout point at a Chinese village which we turned into by mistake en route to the falls. 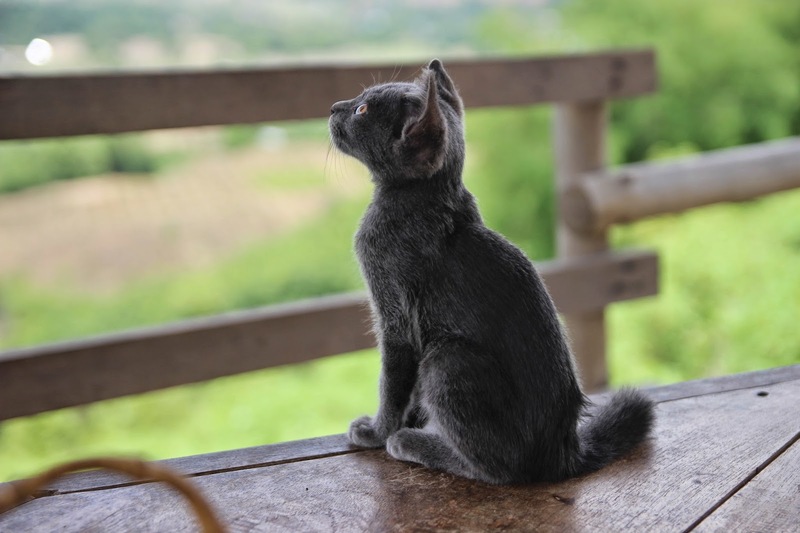 This adorable kitten hung out with us while we drank tea and enjoyed the view. Despite the massive downpour, locals were still climbing the slippery rock and using the falls as a giant water slide. 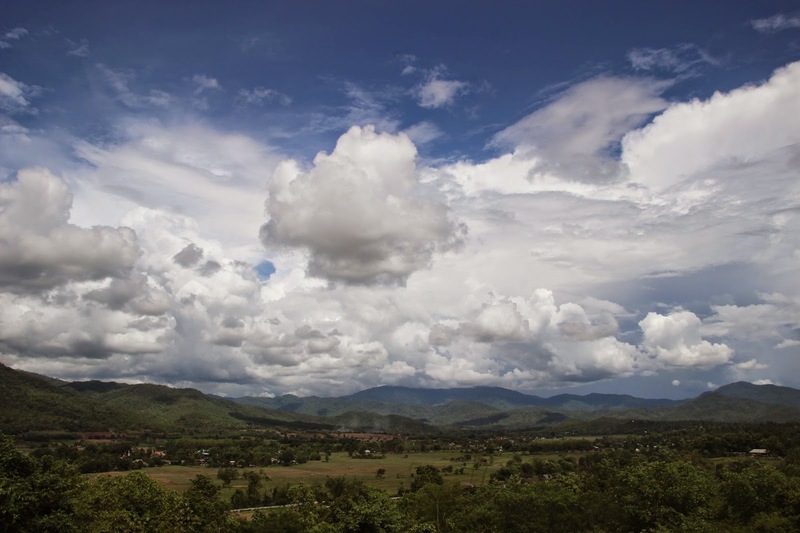 The view from Coffee in Love, the setting of a popular Thai movie, "Pai in Love" which draws many Thai visitors to Pai each year. The "canyon" - a sort of natural walkway of stone and dirt. 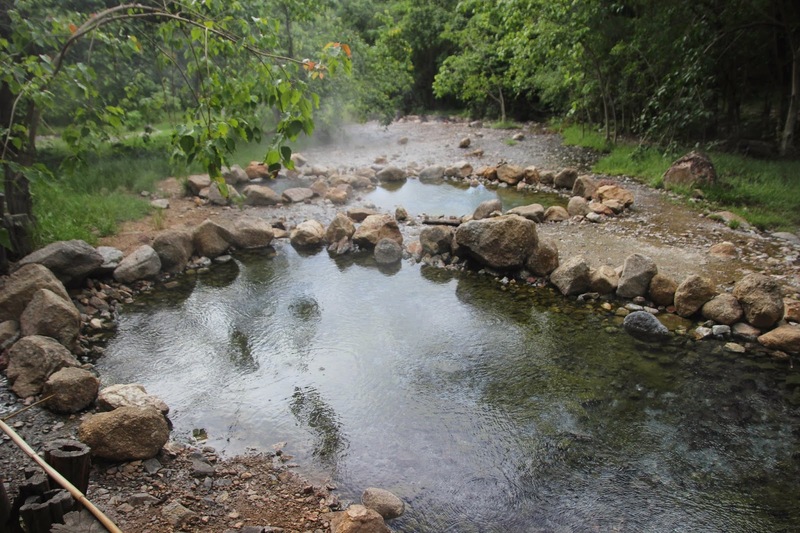 Natural hot springs, which would probably be more refreshing on a day that wasn't so hot! 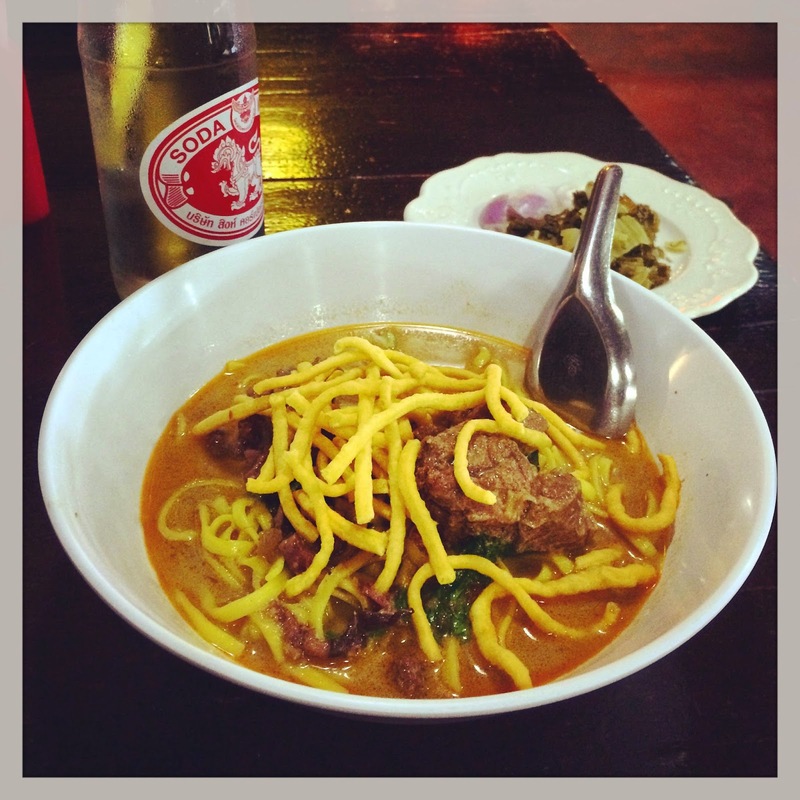 Khao Soi - a typical dish of northern Thailand - beef and noodles in a curry broth, topped by crispy noodles - at Nong Beer in Pai. 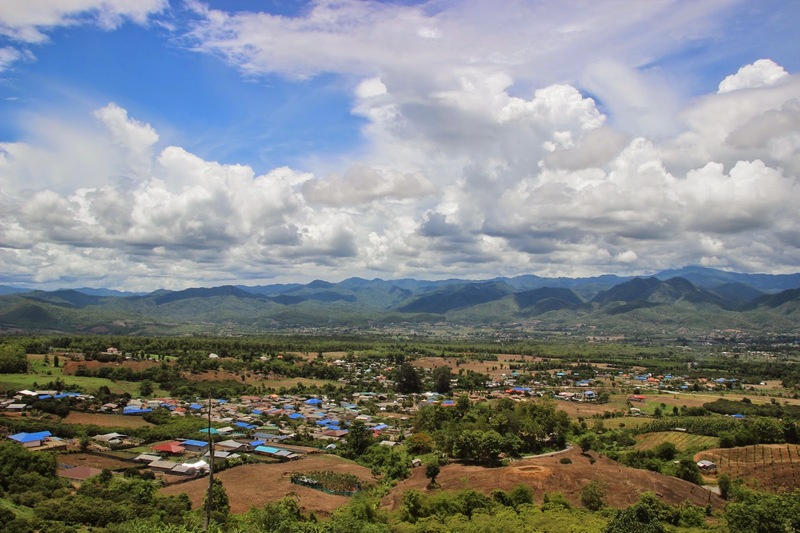 I wound up returning to Chiang Mai from Pai, having received an invitation from one of the CrossFit coaches to use the spare room at their house in the ex-pat area of Nimmanhaemin. 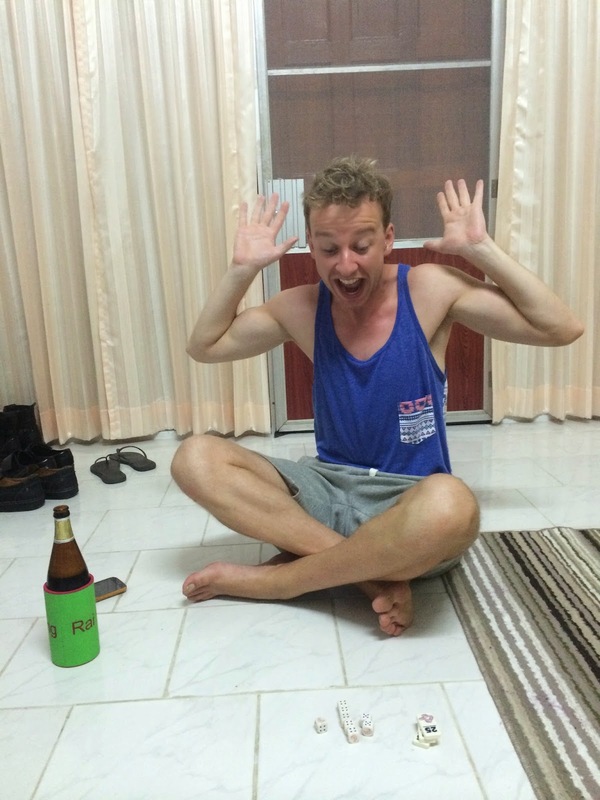 These pseudo homesickness feelings culminated right around the time I arrived in Chiang Mai, and having my own room - albeit a small room with only a mat on the floor, a couch cushion pillow, and no air conditioning - was actually the most wonderful thing on the planet. I finally learned how to drive a motorbike, reveling in my sudden freedom to explore the city from an ex-pat perspective. I updated my resume. I went shopping. I visited a climbing gym and ate pizza with one of the roommates and his girlfriend, who was in town visiting. I probably overstayed my welcome, but spending nearly a week simply living, rather than being on the move, was incredibly refreshing. 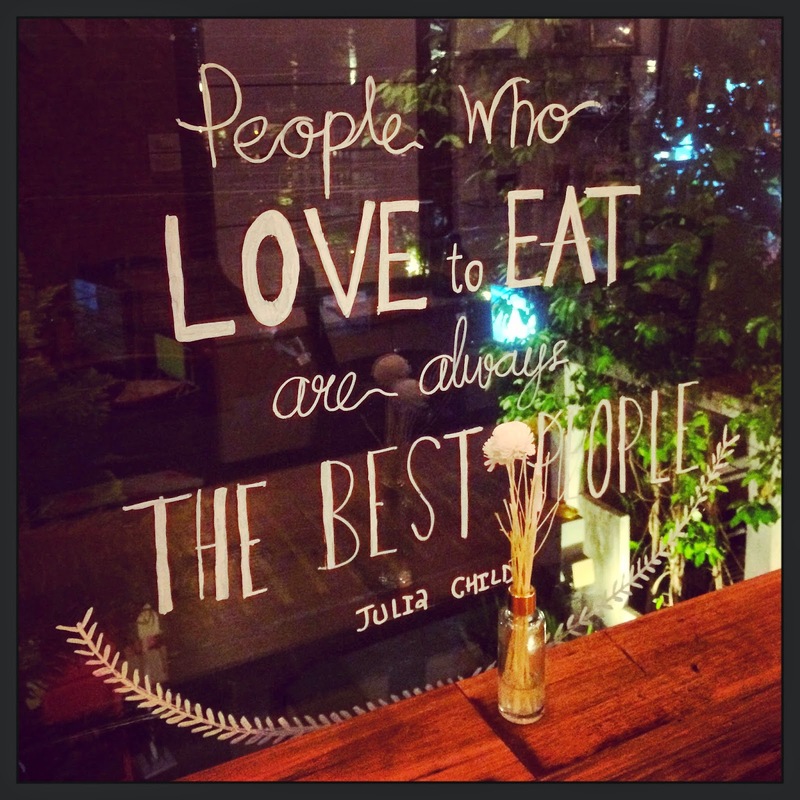 A quote on the window at Rustic and Blue, a lovely little tea shop with tasty snacks. 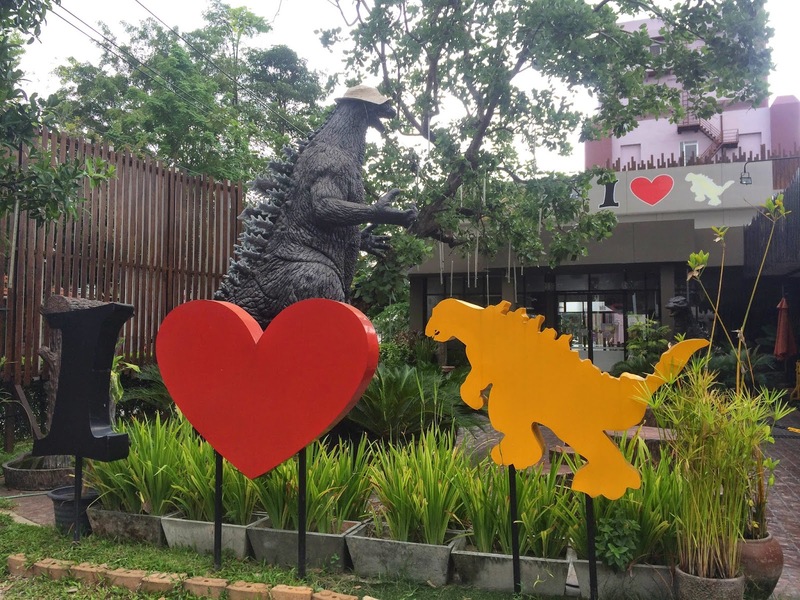 A Japanese restaurant on a block near where I was staying - apparently Godzilla's "outfits" are changed regularly! 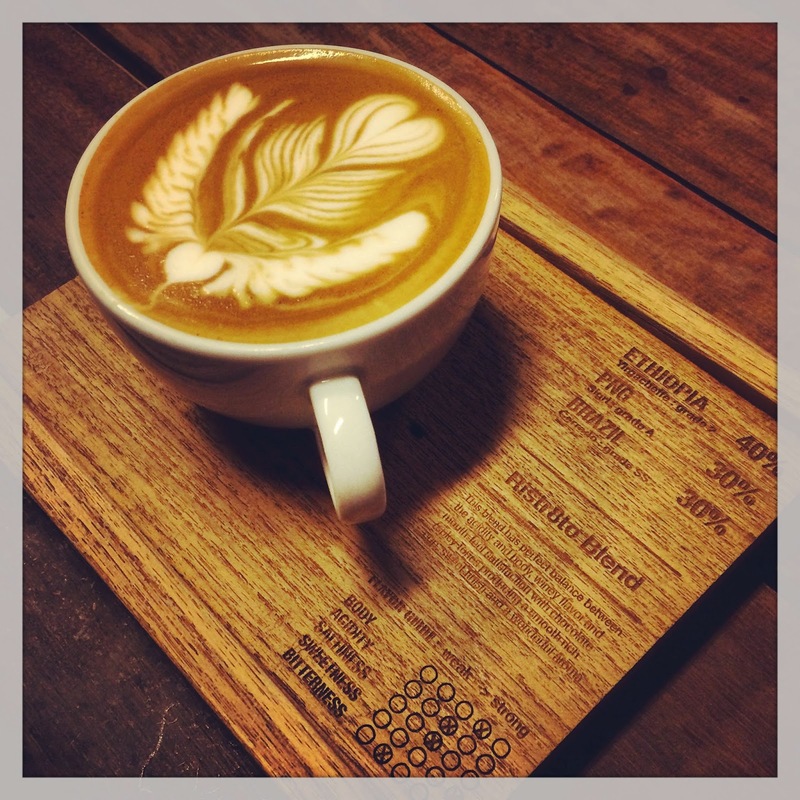 Delicious coffee and fancy latte art at Ristr8to. 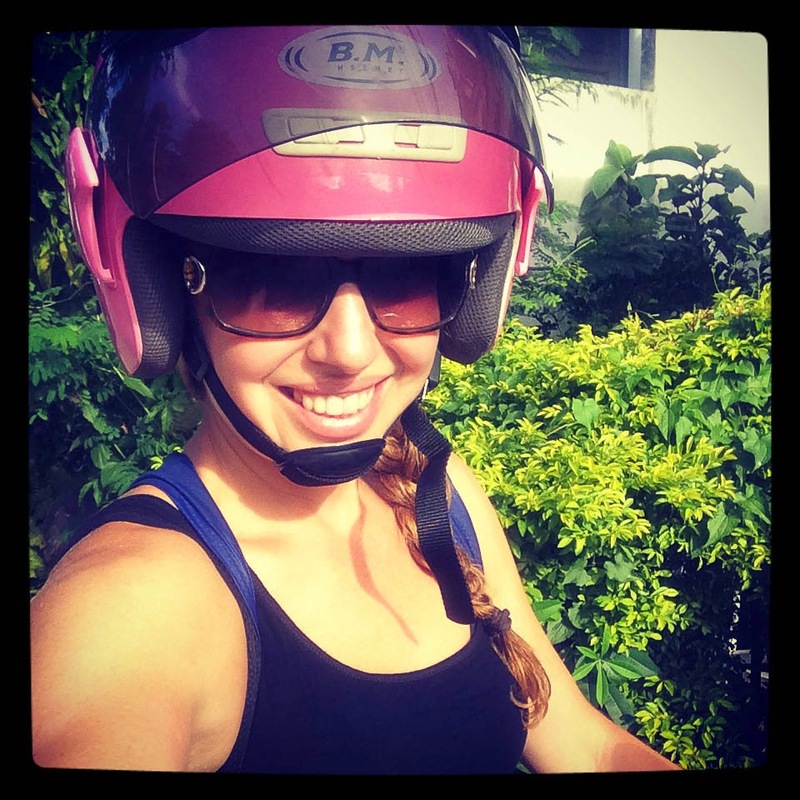 My first time on a motorbike was also my first time driving on the left hand side of the road! 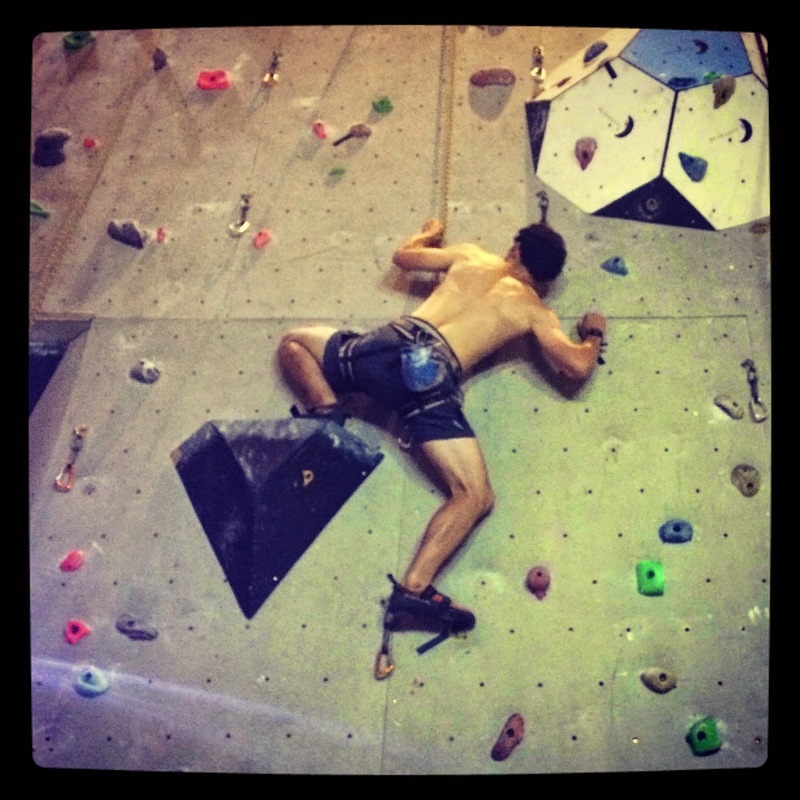 Taylor working on a route at No Gravity, an indoor climbing gym near the Old City. 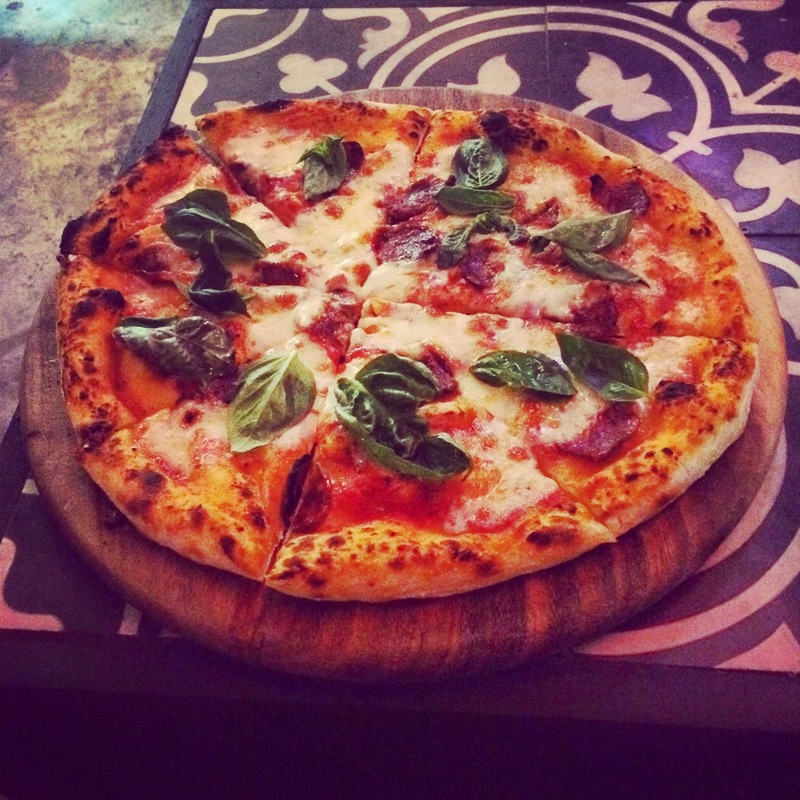 Incredible homemade pizza at By Hand, just inside the walls of the Old City. 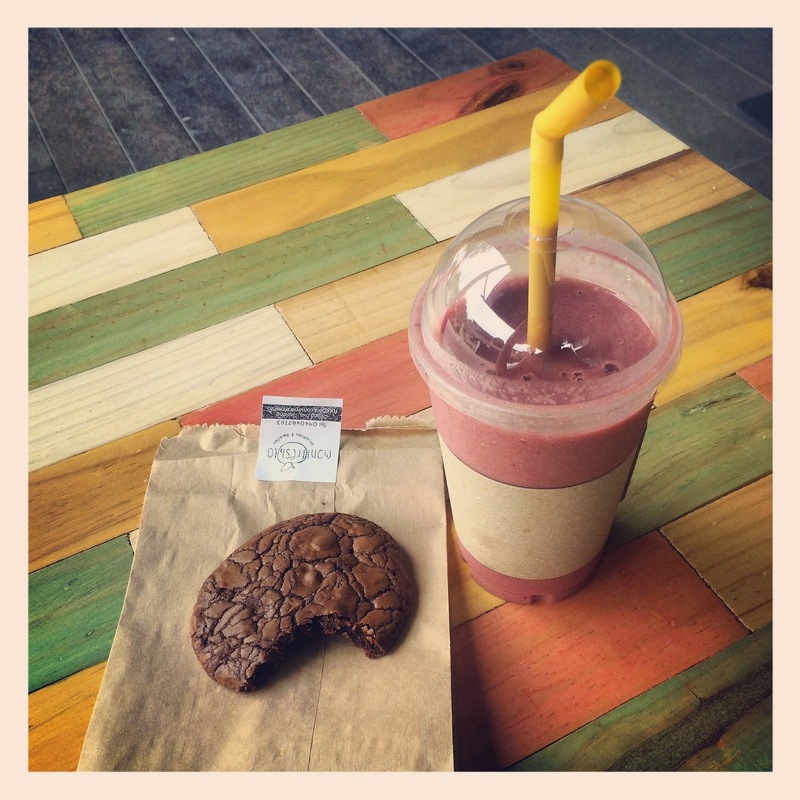 Amazing smoothies and brownie-cookies from Manifreshto. 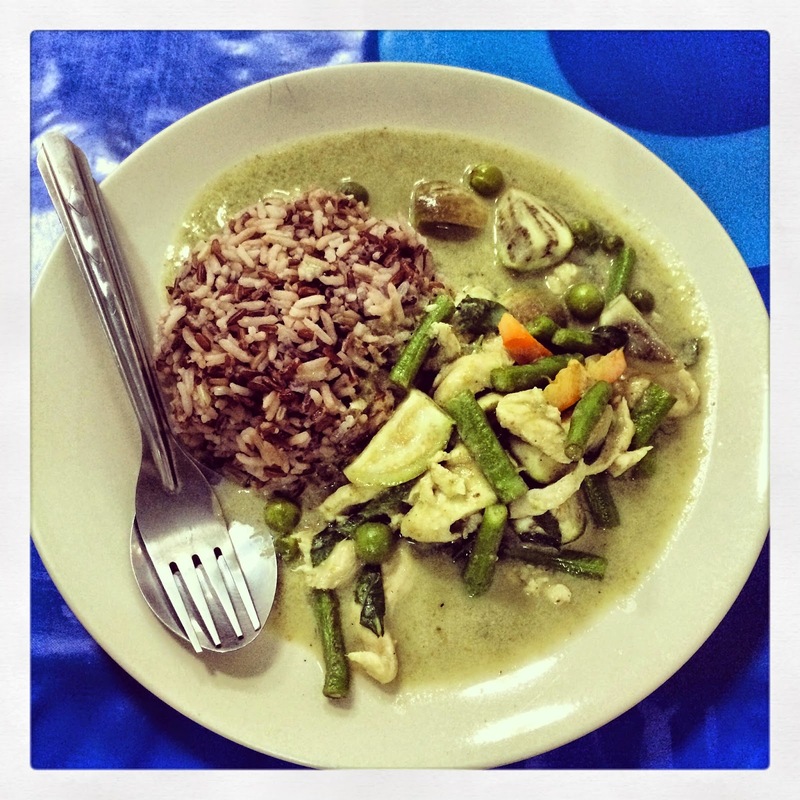 Tasty green curry at Organic Vegetables, affectionately referred to by locals as "O.Veg". 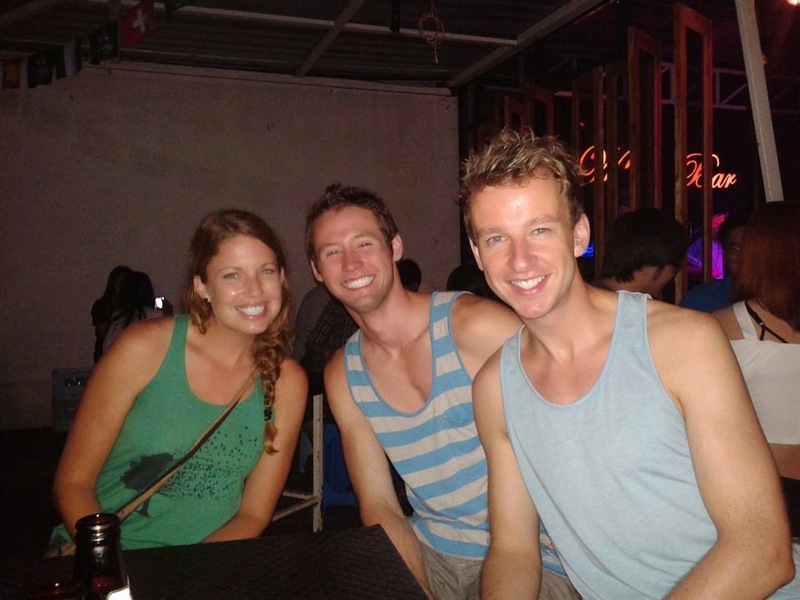 I also lucked out in having the opportunity to visit two friends, Aidan and Caleb, that I had met way back in Nepal - and run into again in Phi Phi some weeks earlier. They were living in a small town called Phayao, teaching English at the local elementary school, and they invited me to come stay with them. After barely making it to town (I tried to catch the last bus out on a Friday, and after arriving at the bus station late through a massive downpour, all the seats were sold out. I simply stood next to the bus waiting for a seat to open up - miraculously, four seats became available for all of us standing there waiting.) 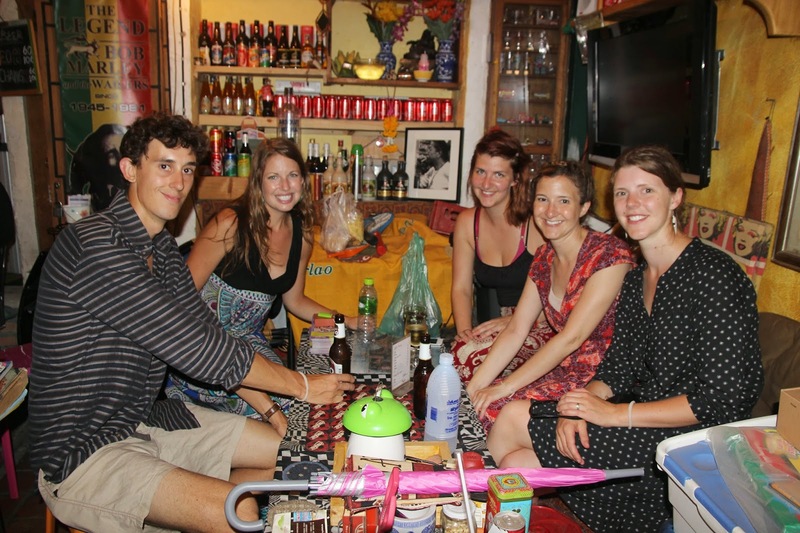 I quickly learned that the only Westerners in town were either missionaries or teachers, and I would likely get a lot of strange looks and/or assumptions that I was a new teacher! 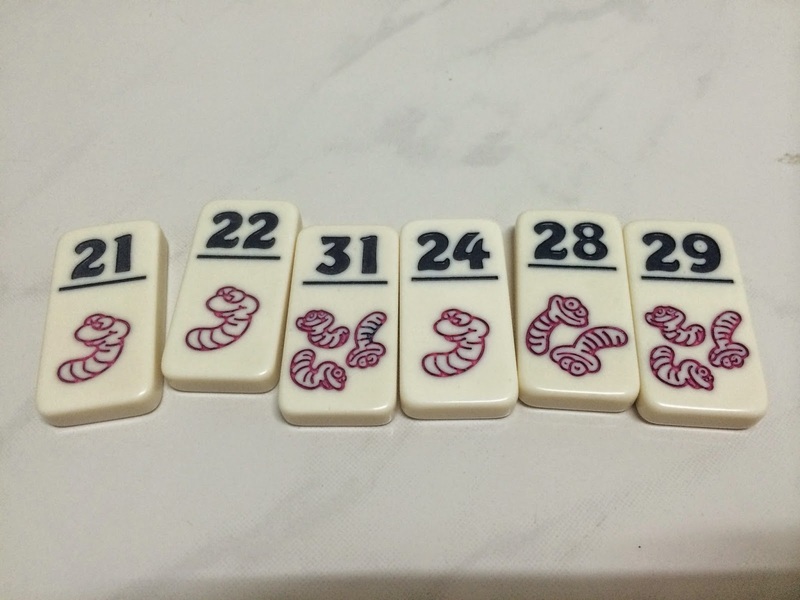 I had a truly wonderful experience, relaxing and playing many rounds of a dice game of "worms", watching what World Cup games were actually being shown on Thai TV, meeting many of their coworkers, and getting the amazing opportunity to actually sit in on some of their lessons one day. I learned that the Thai classrooms can be quite large, and it's a major task for some of these first-time teachers to maintain order among a group of kids who can hardly understand anything they say. But they manage remarkably well, dividing the classrooms into "teams" to tap into their collectivist spirit and remaining enthusiastic and energetic throughout their lessons. While they did each have a supervising local teacher, they rarely interfered or assisted during the English lessons. The kindergarteners in Aidan's class were particularly adorable, and he actually incorporated me into his "lesson" (okay, play-doh time) - as I taught the kids how to make a (very simple) elephant out of clay and joined in on the hokey pokey. 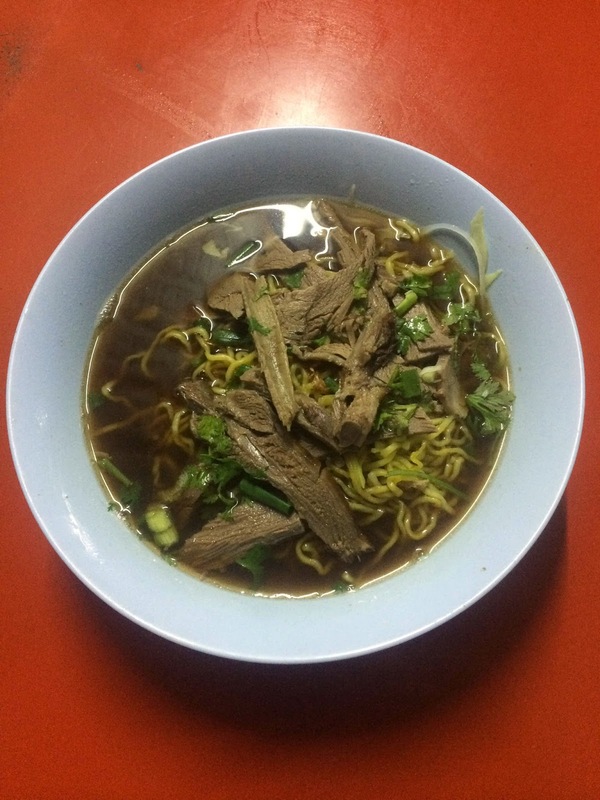 We also explored the various street food stalls that have become Aidan's and Caleb's favorites, some of the dishes being the cheapest, most unique, and tastiest that I ate during my entire visit to Thailand. 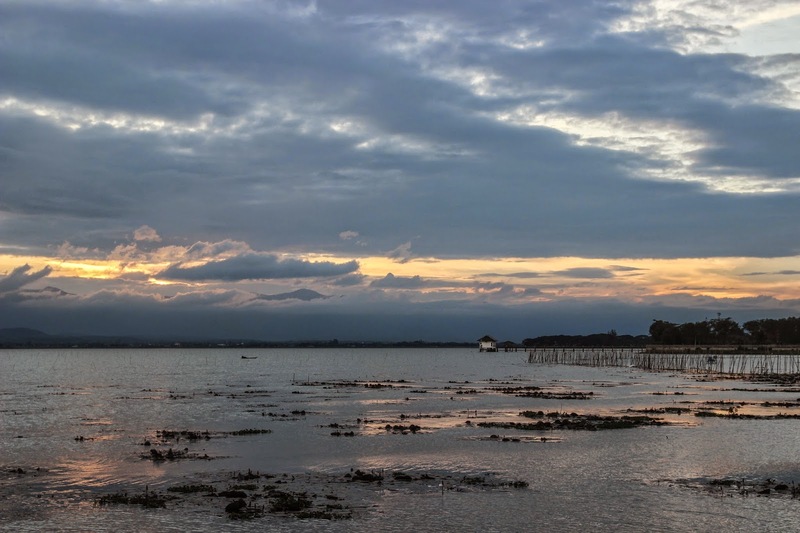 Phayao itself is also a lovely little town, right at the edge of a gorgeous lake, where the locals gather during the evenings for picnics and "exercise" in the form of dance aerobics or "walking while swinging arms". It was wonderful to experience this peaceful little spot in Northern Thailand that not many visitors would ever get to see. Reunited! Kathmandu to Phi Phi to Phayao. 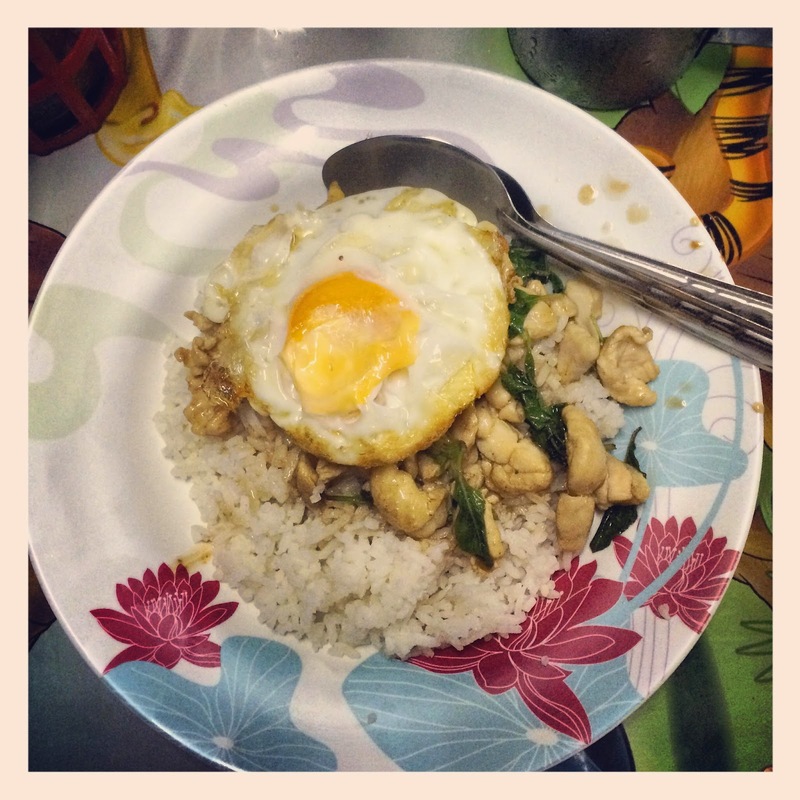 Pad Ka-Prao, a simple but incredibly flavorful dish of minced chicken cooked with basil, served over rice and topped with a fried egg - one of my absolute favorites from the street stalls. 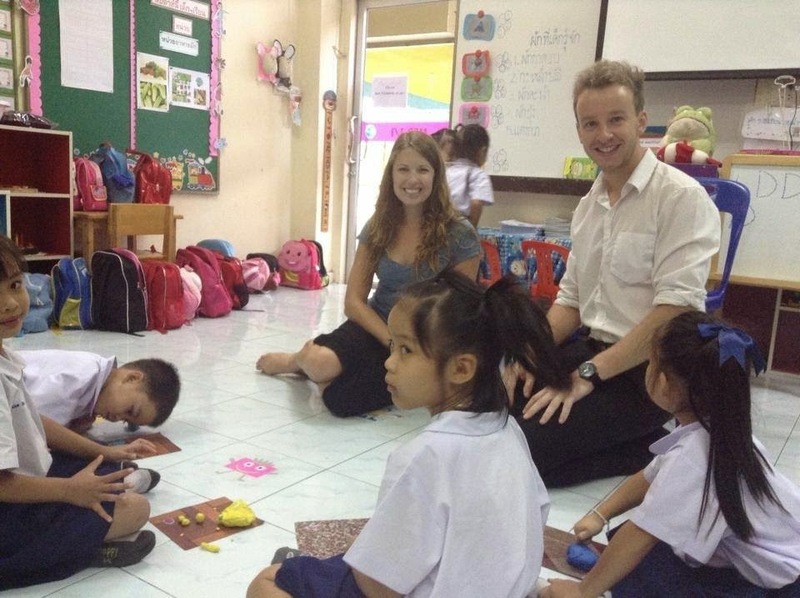 Joining Aidan during the art segment of his lesson with these adorable Thai kindergarteners. 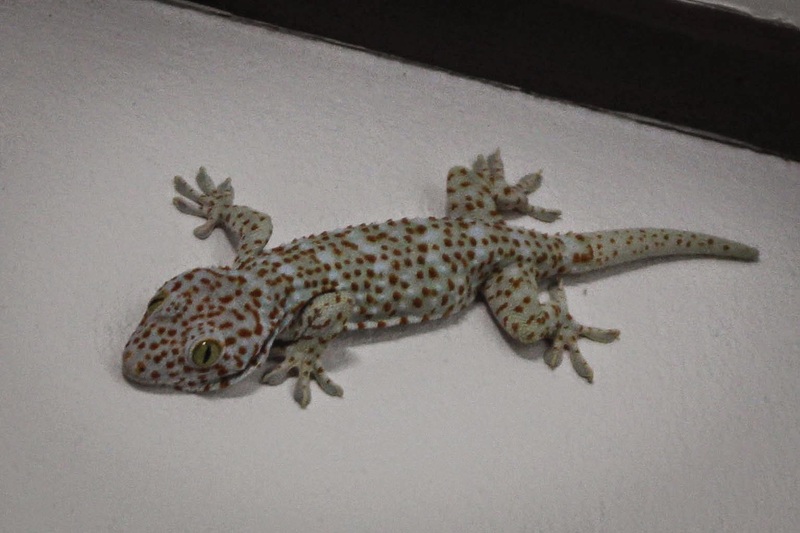 The tokay that hung out on the patio every night - the largest member of the gecko family, with a loud call and a wicked bite. I will forever associate the tokay calls with Southeast Asia in general and Thailand in particular. Aidan reacting to a ridiculously high dice roll in worms! 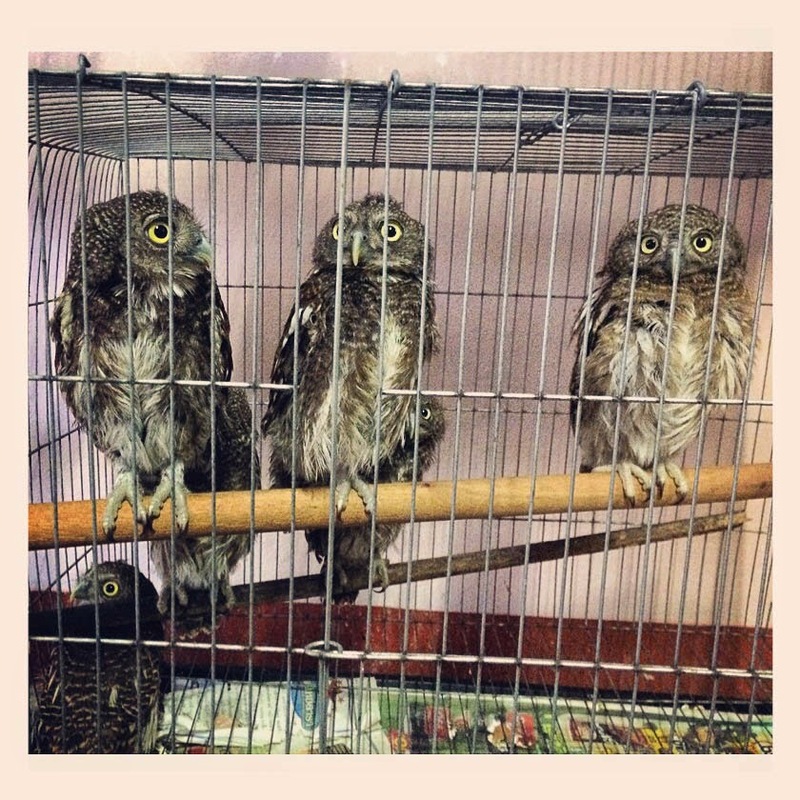 Tiny owls at a local pet shop. 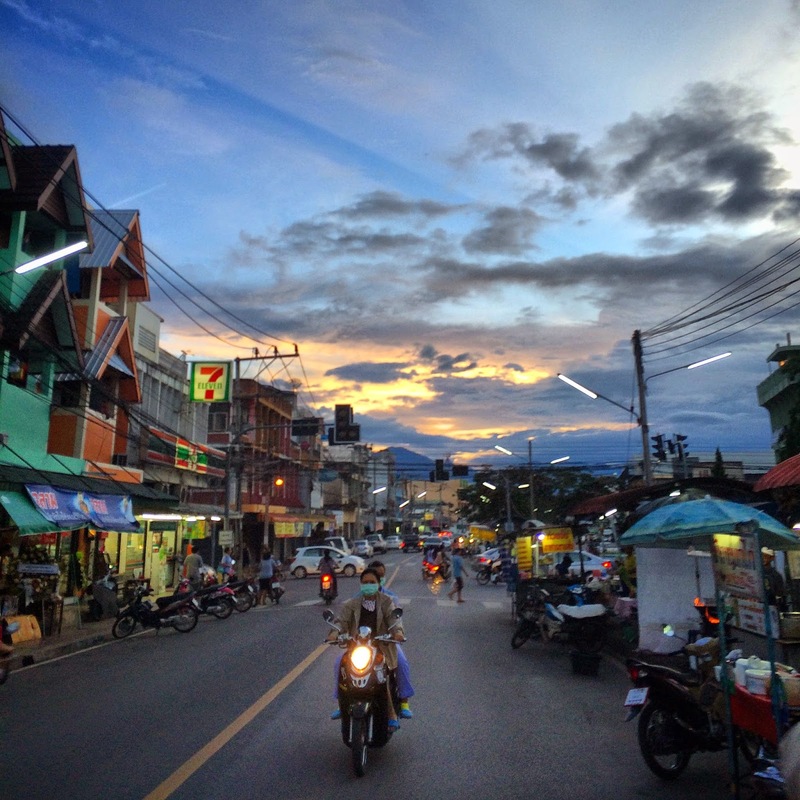 Sunset from the main street for food stalls. 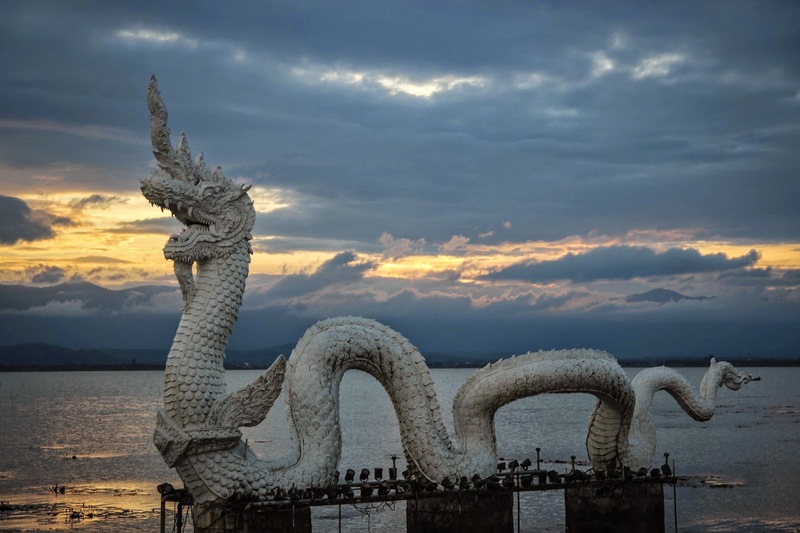 I'm told that the dragons are particularly incredible during the wet season, when the water level rises to cover the entire base. 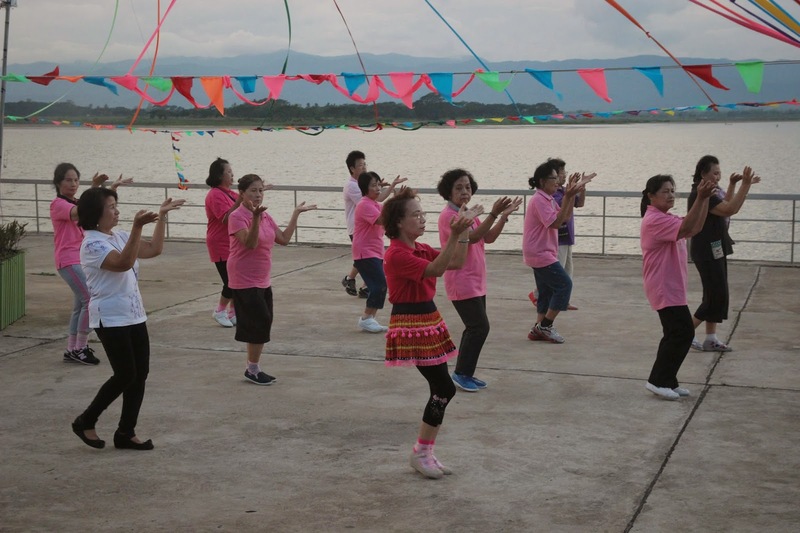 Local ladies exercising with dance aerobics at the lake. 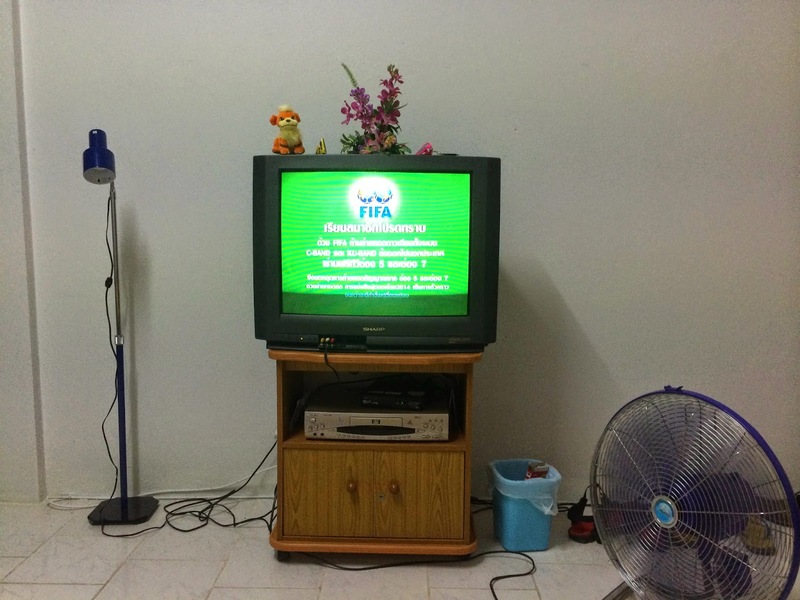 Sometimes Thailand just.... doesn't.... show the World Cup games. 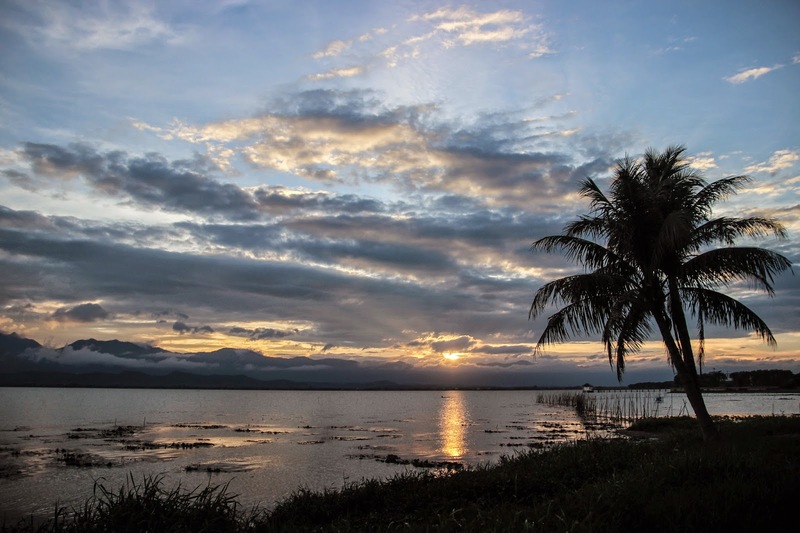 I probably could have stayed in Phayao with Aidan and Caleb much longer, except that I suddenly realized my visa would be expiring in just a few days - since my arrival on the day of the coup I had spent nearly an entire month in Thailand! While I didn't do much in terms of tourist activities in those weeks, they were still full of exploration, and experiencing a bit of the ex-pat lifestyle. Those last few weeks were also some of the most restful and restorative, and were very necessary leading up to the next couple of months, which would see me rapidly on the move through a number of different countries.